Over on Career Hub, Billie Sucher wrote about what constitutes a good client for her. That got me thinking about the same question for me (answered below), and about you. Who is a great client for you? I'm not talking traditional market segmentation here. Rather, the question is, "What client behaviors do you love, and which do you hate?" Read my list, check out Billie's list, and then figure out your list. Please share your list in the comments section, if you like. 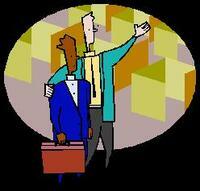 Wish you had a better relationship with your boss? Feel like you are ignored in favor of others? Wondering if you have any career progression left? Think about how well you are helping your boss get her job done and meet her obligations. Are you doing everything you can (within legal and ethical bounds, of course) to help her look good and get ahead. If not, your relationship may be getting in the way. Consider this list of 15 things you can do to improve your relationship with your boss. I listen to podcasts of NPR's "Fresh Air" on my daily walks. 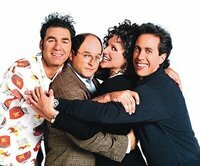 The program on October 30 included an interview with Jerry Seinfeld in which he was asked why he ended his successful television series after nine seasons (when his ratings were still climbing). Seinfeld responded that making a movie 15 minutes too long can turn it from great to average. He also opined that the Beatles might not have been considered so great if they had not quit abruptly in 1970. That "less-is-more" idea applies in leadership and business situations. People will never assign a higher value to you than you assign to yourself.